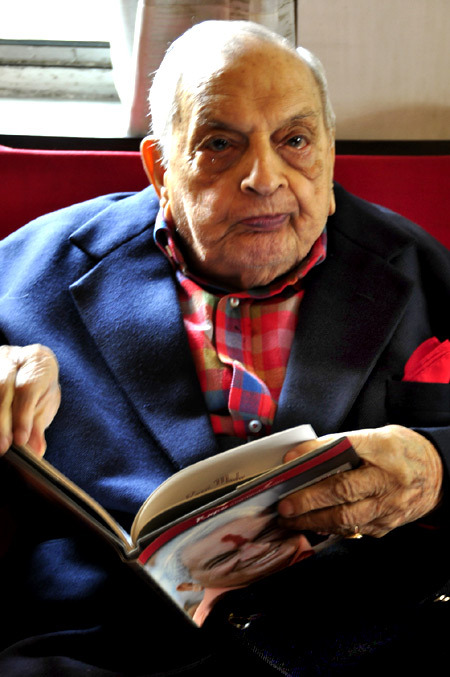 Russi Mody could cut across hierarchy to communicate what he wanted, says Subir Roy. It was a routine corporate reception, hosted by a chamber of commerce on the lawns of a five-star hotel. As a young reporter, eager to make contact with the big and the powerful, I manoeuvred myself into the circle around him and presented my credentials - a visiting card to wit. What surprised me was his response. Not only did he extend his hand for a limp ritualistic “glad to meet you”, he also gave me in return his own card, which said little more than Russi Mody of Tata Steel in a very understated way. That really defined the culture of the organisation and people like him. Those days few Indian chief executives would exchange cards with a young reporter; in fact, few carried cards on themselves all the time. That first meeting really defined the way I professionally interacted with him with increasing closeness for a decade thereafter. He was polite, as becomes a Westernised Parsi gentleman, to everybody, with a no-nonsense gruffness and atrocious Hindi to boot. Over time, I also found out he could be very informal and sharply cut across layers of hierarchy to communicate what he wanted to. While chatting with a freelance photographer whose work I liked, I half idly said it would be nice to do a photo feature on Mody for the colour supplement of the paper I was then overseeing. Little did I realise that in a couple of weeks, the photographer would be presenting me with a set of very competent colour photographs of Mody at the piano; making one of his mammoth omelettes and of course at work in his corner office in Tata Centre with a breathtaking view of the Kolkata maidan. It was then left for me to do the easy part, meet him at that office and take down a few biographical and anecdotal details to go as long captions to the picture story. The funny part was the acute embarrassment of the chief PRO of the organisation with whom a request from me to interview Mody had been pending. I realised that the man of steel also knew the business of managing publicity very well and did not rely entirely on what came up through the hierarchy. On another occasion, when I dropped by at his office after a particular New Year, on an impulse he gave me a rather simple looking diary, which was lying on his table. When I asked him to inscribe it he promptly wrote on the fly leaf “Affectionately, Russi”. The high water mark of our professional relationship was a long interview I was able to do with J R D Tata at Bombay House, which Mody got for me. On meeting Tata, I came across the same politeness, which was extended to everybody, big and small. All went well until Tata Steel was embroiled in a succession battle with Mody having one person in mind for stepping into his shoes and the group having in mind the person widely acknowledged as the next in line, J J Irani. I soon realised it would be a negative story for Mody, but there was no option but to go ahead with it. In time the story came out with all the necessary attributed quotes and all hell broke loose. Predictably, a senior journalist who was considered an authority on Tata Steel pooh-poohed the story, but time proved it right. The succession plan for Tata Steel didn’t get derailed but I felt awkward about meeting Mody. Eventually, I was face to face with him again and in keeping with his straightforwardness, he asked, “Why have you come to torment me?” I replied that I had nothing against him personally and so did not hesitate to seek a meeting. He cooled down immediately and we had a few civil minutes thereafter. That’s the last time I met him, as he retired soon thereafter.